Pre-school education has a major role to play in the social and scholastic development of children. It is known to be the foundation stone of their journey of learning. While pre-school education is a relatively new concept in India, this domain is slowly gaining popularity, especially in the urban areas. Modern urban parents are usually well aware of the need of quality education for children, and hence are proactive about getting them enrolled into a good pre-school facility. The growing popularity of nuclear families and working parents has also subsequently provided a boost to the rising trend of pre-school education. In fact, keeping the concerns of modern parents in mind, some of the Montessori schools in India also provide day care facilities for children. They aim at providing a safe, secure and stimulating environment to children, and hence are ideal for kids whose both parents are working. Due to their increasing importance and popularity, opening a pre-school unit can prove to be quite a lucrative venture for new entrepreneurs. In fact, as per certain reliable reports, the Indian pre-school and child care market is projected to grow at a CAGR [compound annual growth rate] of about 23% during the period of 2017-2022 . As such, by opening a pre-school people can be rest assured that they will face minimal risks and have a consistently good income, as the education sector is one of those domains that is least affected by recession and other forms of economic crisis. When planning to start a pre-school facility in the country, it is incredibly important that the entrepreneurs choose a good business plan and model for it, to ensure optimal success and profitability of the venture. They would ideally have two options presented in front of them, as they venture into the pre-school business. They can either start the pre-school on their own from scratch or take up a franchise. And, completing all these tasks in a timely and organized manner can often be quite a cumbersome process for new entrepreneurs, especially for people not having a considerable experience in the sector of education. 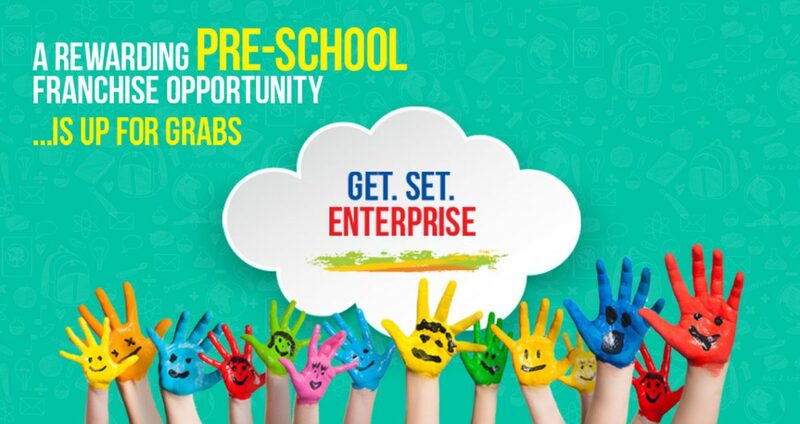 Therefore, it would be much more convenient if people choose to partner with the best franchise schools in India in order to start their pre-school. • Association with a well-established brand name belonging to the education sector would certainly lower the costs involved in the initial setup, promotion and administration of a preschool facility. This factor would subsequently provide assurance of higher profit margins for the entrepreneur. • There are much lower financial risks involved in starting a pre-school through the franchising system than getting involved in this venture independently. In this system, the entrepreneurs have to operate their business under a certain proven and accepted code of conduct of the education brand or the franchisor. Since the franchisor already has a successful operational track record in the domain, even a new pre-school unit set up under their brand name is bound to take off in no time. •The education brand offering franchising opportunities ideally helps entrepreneurs to develop the school curriculum and design the syllabus too. This further takes off a lot of burden from the shoulders of the entrepreneur and gives them space to focus on other aspects. To know more about the pre-school franchising system in order to start a successful Montessori school in India , interested entrepreneurs can check out the website of education brands offering such opportunities.